Women’s fashion trends for spring and summer 2019 are an interesting mix and there’s sure to be a style to suit just about any woman, irrespective of size. Heated debate surrounding equality and feminism were a big factor at all the catwalk shows this year and one of the major themes was the promotion of femininity, in all its guises. The major designers have all created garments that will enhance any woman’s confidence, strength and power, while also celebrating diversity. Dressing for comfort is also a big feature for the year, with lots of longer length skirts, relaxed styles for outerwear and easy-style tailoring. Many of these styles are extremely flattering and feature fluid designs that will work for women of any age. Leopard and animal prints have retained their popularity for spring 2019, and are used for a wide range of garments; from casual day wear to classic evening gowns. And, finally if you love 80s style and glitz, you’re sure to find the clothes you adore this year. Designs featured lots of stylish and strong shoulder lines, smart or romantic skirt suits, and glam, metallic party dresses, and these will ensure you dress to impress throughout the summer months of 2019. Branding and labelling is ultra imperative for fashion garments and can be useful for telling the story of your brand to customers and consumers. Brand story lines are really big with contemporary marketing professionals and customised woven labels are one way to get your message out there. Personalised labels add a unique touch to any garment and really take your business branding to another level altogether. Clothing labels can be custom created with your own artwork or brand logo to continue building insight into the magical story of your business that’s so important to modern consumers. 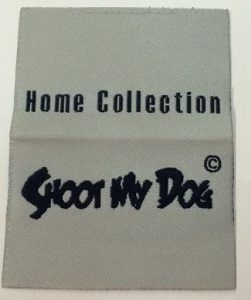 Take time to browse the entire range of fabric labels at Perfect Labels – Lanyards so you can make your valuable customers even more aware of your own design story. 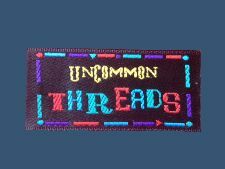 Contact us today for design unique woven fabric labels for your clothing business.